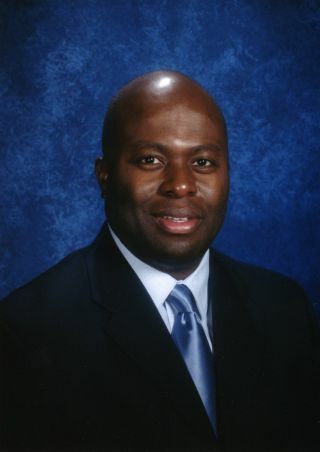 Dexter Suggs was the CIO for Indianapolis Public Schools for two-and-a-half years, and then chief of staff/deputy superintendent for the district for one year before being recruited by Little Rock School District Board of Directors to serve as superintendent, effective July 1, 2013. SchoolCIO talked about his transition from CIO to superintendent, the changes he oversaw at Indy, and his goals for Arkansas. SchoolCIO: Tell us about some of the technology initiatives you worked on in Indianapolis. Suggs: The first major initiative was 1:1. We handed out netbooks to 9,000 9th- through 12th-grade students. We also did a smaller 1:1 rollout with 2nd- and 3rd-graders at select schools receiving iPads. Our point for these projects was to create an environment where students move beyond the traditional classroom and engage in educational opportunities after school and at home. We used ANGEL (now Blackboard) as an LMS to create a 24/7 environment where students could communicate with their teachers. The 1:1 helped improve test scores at some schools, but more important—student engagement improved. Students had that hook they needed to achieve. SchoolCIO: Tell us about the PD and the planning you did before going 1:1. Suggs: First, we met with parents, students, and our teaching staff to get everyone on board. For parents, we went over expectations and policies and gave them the opportunity to play with the netbooks for a day. Students had two training sessions at which they heard about guidelines, expectations, and policies. Teachers continually re-emphasized the guidelines and discussed what their schools’ rules would be. Before the full-scale rollout, we piloted at two high schools to work out the kinks and make sure the infrastructure would support the effort. Then we shipped a dozen netbooks to each high school for teachers to play with and get a feel for. A month-and-a-half later, we went to each location and provided ongoing training. The first two sessions were all-staff, and then every third week we’d meet with individual teachers during their planning time to work with on specific skills that they needed. Some teachers were off and running; some needed more hand-holding. During the summer we offered summer institutes with specific lessons and workshops as well as open sessions in which they learned whatever they wanted. That fall, when we rolled out, a group of lead teachers took control and helped. From there, everyone started using them. SchoolCIO: Talk us through the iPad process. Suggs: During the summer, we had an intense, five-day training for the iPad teachers to share their ideas. The training was mandatory and unpaid, but the teachers wanted to get the iPads so they came willingly. Some days they wanted to stay longer because they were so engaged in the rich, meaningful work. We rolled out the iPads in September 2011 and it went extremely well. To this day, they are all engaged. One school is planning to convert some of the other grades as well and is looking for grants and loans to help get more iPads in. SchoolCIO: After being CIO, you were promoted to chief or staff. Talk with us about this transition and if you continued to work on technology projects. Suggs: For the chief of staff role, I had more responsibility. I took care of day-to-day operations of the district, including IT. I still had my hands in the IT stuff. We were in the midst of creating a VMWare environment to reduce the costs of replacing desktops and to be more resourceful in pushing software and apps district-wide. We created a virtual environment in our data warehouse. SchoolCIO: And then Little Rock came calling? Suggs: The search firm representing the Little Rock School District recruited me to apply for the superintendent position, and fortunately I got hired. I think it had a lot to do with my background and serving in a number of different positions. Little Rock does not have 1:1 yet, but we will have something. We’ll find the best platform for the environment. I don’t believe in cookie-cutter solutions. Will it be 1:1, blended, virtual learning, or a combination? They have iPads but not to the extent where it should be, with true integration. SchoolCIO: Clearly you’ve learned a lot about leadership. Any tips to share with our readers? Suggs: One of the major things to understand is the importance of communication—both speaking and listening. You have to know the needs of your environment and become attuned to what people want. Don’t just push your ideas. Make sure everyone is at the table and engaged. I hear about districts that want to implement 1:1 and everyone is at the table except the IT people. You can’t do that. Taking risks is also important. Sometimes we sit back and wait and don’t want to change things, but you have to take risks sometimes. In Indianapolis we created a virtual environment at a time when no one in K12 had done anything on that large a scale, and it benefited us greatly.